EMF awareness has gone mainstream and many folks are aware that high levels of electromagnetic radiation are produced by cell phones, tablets, and computers. But did you know hair dryers are one of the worst producers of high levels of EMF’s in your home? Who knew that your harmless attempt to blow dry your hair was legitimately engulfing your head with harmful EMF’s? That’s why we reviewed the best low EMF hair dryers. There are a number of great options available, so we looked over the details of 5 of the best low EMF blow dryers. Why do Hairdryers Produce EMF? One important point to understand about electromagnetism is that anything that conducts electricity will have an electromagnetic field of some size or another. Even the lamps that light your home will produce EMF’s. Here is the important difference between your hair dryer and the lamp in your home: After getting out of the shower, you don’t hold your head a hands-width from from your lamp for extended periods of time. Since high EMF hairdryers are constantly bombarding your head and hair with charged particles, they also stand a good chance of causing unwanted effects on your hair, such as frizz from static electricity. But your high EMF blow dryer could also be eroding your health, effecting your sleep patterns, and causing fatigue. 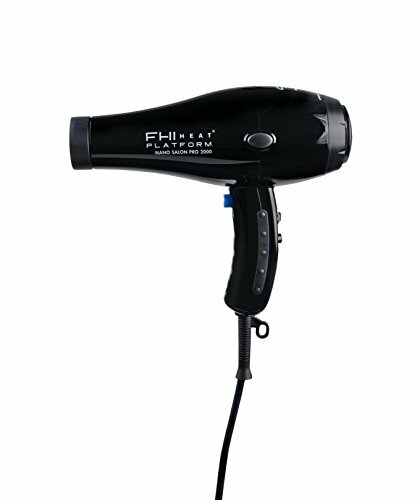 Our first choice went to the Elchim 3900 EMF hair dryer due to the all-around tremendous performance. Along with being a healthy, low EMF hair dryer, this unit also offers far infrared heat that further lowers radiation levels and protects your hair from getting damaged from excessive heat. This is an Italian-designed blow dryer that provides all the features you would expect from a pro, salon caliber hairdryer. The ionic and ceramic heating element produces a healthy luster and shine only found in the very best low EMF hair dryers. 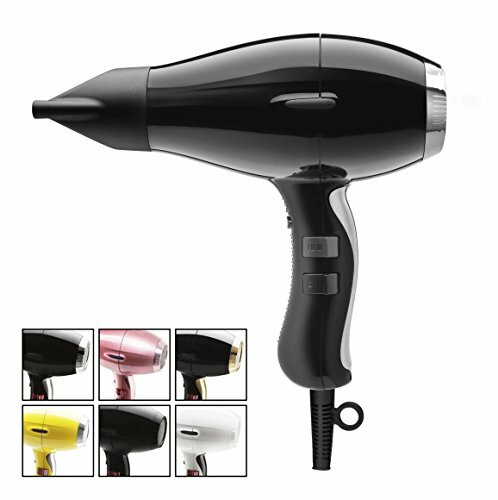 Meeting at the perfect crossroads of fast drying and styling ability, this low EMF hair dryer offers 3 temperature settings and 2 air speeds, while also dishing out 2400 Watts of blow-drying-power at 240 Volts. One of the strong points of this low EMF hairdryer is the reduced noise during operation. For such a powerful hair dryer you would expect quite a lot of noise from the Elchim 3900, but thankfully that is not the case. While being an amazing hair dryer and keeping EMF levels very reasonable, this isn’t the lowest EMF hairdryer we reviewed. If your have a hyper sensitivity to EMF then we suggest you take a look at our next review. If you have a hypersensitivity to EMF radiation, or if you want the safest EMF hair dryer around, then we highly recommend the Shield Life EMFreedom hairdryer. 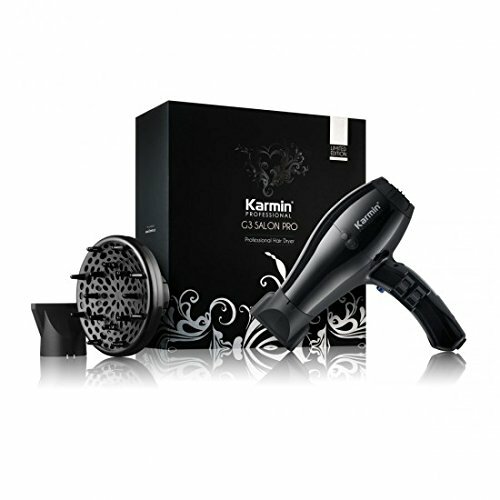 The EMF shielding technology in this blow dryer is simply second to none. This hair dryer was designed with a purpose: to reduce EMF levels as low as possible. Along with a 75% reduction in EMF radiation, the additional ceramic infrared heat serves to further reduce radiation. Infrared heat allows you to dry your hair faster while maintaining a luster and shine that doesn’t frizz and cause fly-aways. Shield Life accomplished their revolutionary EMF reducing design by adding a copper infused layer to the interior of the EMFreedom hair dryer. This copper layer captures the charged particles in the electromagnetic field and simply sends them back to the ground wiring in your home. Brilliant. In addition to the ceramic heating element and far infrared heat, other helpful features include 3 temperature setting and 2 speed settings. You can lock in your style and really customize the settings that work best for you. 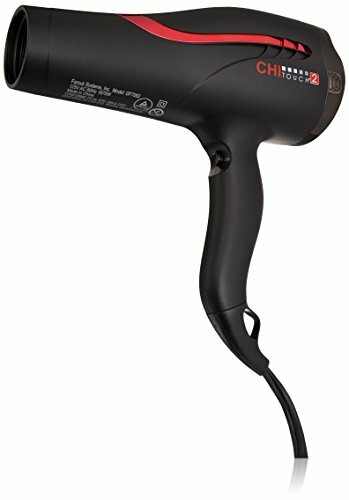 If you want the best low EMF hair dryer, this model is sure to impress. 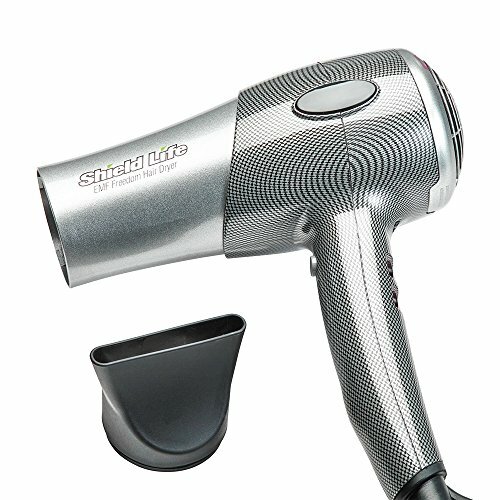 With all the features you would expect in the top hairdryers available today, we highly recommend the Shield Life EMFreedom hair dryer. EMF SHIELDING TECHNOLOGY - The patented EMF shielding technology blocks up to 75% of harmful EMF from irradiating your hair and head. The reduced EMF exposure maximizes shine and silkiness while controlling frizz. The EMF shielding minimizes cellular damage to your hair and invigorates follicles to maximize hair health and strength. LIGHTWEIGHT EFFICIENT MOTOR - The EMFreedom is powered by a powerfully efficient 1800W motor that generates a safe level of heat to style and set your hair, while minimizing the damaging effects of extreme heat. CERAMIC INFRARED TECHNOLOGY - Look and feel amazing as the Ceramic infrared heating technology in the EMFreedom allows you to dry your hair faster and increasing shine and sheen. The infrared heat effectively styles and sets your hair while safely keeping your hair from losing valuable moisture and vitamins. NEGATIVE ION SPRING - The proprietary negative ion spring technology maximizes moisture retention in your hair while helping maintain optimal levels of natural oils to keep your hair healthy and beautiful. MULTIPLE HEAT AND SPEED SETTINGS - Style and set your hair with multiple heat and speed settings to match your needs. From the "after-show-dry" to the "going out tonight" blowout. New Design: Lighter and more compact design, featuring a concave handle for a more comfortable grip position.